Interview with Vikotoria, Colin and Riot Turtle of the Enough 14 Info-Café with us (Enough is Enough blog) about their new project. The Enough 14 Info-Café will open in December 2018 in Wuppertal, Germany. When did you have the idea to open a shop in the Nordstadt district in Wuppertal? Riot Turtle: We have that idea for about 4 years now. Back then there were 2 squatting actions where people wanted to open a social center in the Nordstadt district. Both occupations were evicted after only a few hours. After that again and again discusions flared up about the necessity of such a center. In the past year 2 more or less leftwing bars were closed in Wuppertal: Multi Kulti and Café Stil Bruch. That made it necessary for us to take this step. We think it’s important to be more present (and visible) in our district in times where society is shifting more and more to the (extrem) right. Because of privatisations more and more public space was taken away, a public space where people can meet without being forced to consume something. With our Info-Café we make a statement against this development. On top of that a kind of small gentrification has started in the Nordstadt district in Wuppertal. We also want to counter this process. After the fast evictions of the Marien 41 squat we now decided to rent something, so we can bring consistency in our work. But that doesn’t mean that the we won’t question ownership anymore in the future. Colin: We first have to start to build-up a structure in our spaces. A structure that is not aiming just to sell something, but which is also a place where people can go that have not a lot of money. Apart from Zapatista coffee and pastries we also want to offer people free tea. They can make a donation but the don’t have too. Apart from clothes that people can buy we also will have a part with free clothes and other free stuff in our store. We are observing that there is a growing interest in political, economic and social alternatives for capitalism. For that reason we will also build-up a kind of leftwing library. People can buy books and magazines but they can also read them for free in the Info-Café. And of course we will organize info nights, concerts, readings and other events. Furthermore we will start a reporting point for racist attacks and incidents and a reporting point for people who received deportation orders. What do you exactly mean with reporting point? Open Borders T-Shirt. Sizes S, M, L. XL, XXL and XXL. Image from a banner in the Idomeni refugee camp in Greece (2016). Click at the image. Colin: A reporting point for racism is known from other cities. Its a place where racist and other rightwing attacks are being registered, so that we can get an overview and will be able to develope a better response against these attacks. The reporting point for deportations will work in a similar way. For us it’s also important to get an overview of the threats of deportations. Many refugees and migrants have to live with this kind of threats for a long time. How will the collaboration with Hopetal work? Viktoria: Hopetal e.V. is the association with whom we will share the spaces in the Wiesenstraße. Hopetal emanated from Cars of Hope, a self-organized collective that supports refugees on the Balkanroute. So politically we are very close, not least because of the Hopetal idea to revive the “Ölbergkantine” as “Nordstadt-Kantine” (It’s a buffet for free, neighbours bring the food. The Ölbergkantine use to be in Café Stil Bruch, one of the 2 leftwing cafès that were closed last year, Enough14). Hopetal is also planning a permanent exhibition of the work of the Cars of Hope collective on the Balkanroute which will continue. Nonetheless these are 2 different projects with quite different key aspects. Your base is the Nordstadt district in Wuppertal. What is the target group of your work and where do you see yourself on a regional level? Riot Turtle: Enough 14 is a collective that works on many levels. It started as a web portal with various channels on social media where information about many political issues are being spread. A typical contra information project. At first we only worked with the English language but about a month ago we also started to work with the German language. We want to develop this project further. One of the things we want to do in the Info-Café is to record a podcast twice a month, one in English and one in German. Visitors of the Info-Café can contribute to the podcasts. We will publish these podcasts on our web channels so everybody can hear it. We also want to produce a magazine in English and German. The magazine will be available in the Info-Café and in the internet. Apart from reports from many European cities, we also want to focus on local issues in Wuppertal. Our goal is to inform people about international and transnational struggles and to make local struggles in Wuppertal more known on an international level. With the versatile offers in the Info-Café we also want to reach our neighbours who live in this district. What changes do you hope the Info-Café will bring in your district? Colin: The Nordstadt district in Wuppertal is traditionally an alternative district. A few hundred meters away of our Info-Café there is the autonomous center (AZ Wuppertal, Enough14) on Gathe. Of course one of our goals is to bring and expand our culture and political ideas in the district. For us it’s important that we reach people who are not part of the classic autonomous scene. In Wuppertal hate and baiting have also grown. You can see that on the election results of the AFD. We think we can counter that by bringing people together in our neighbourhood. There is already a lot of proof that this works. (The AFD is also growing in the Nordstadt district, but not as much as in many other districts, Enough14) In the Nordstadt district there are many groups, projects and individuals who are doing that for years now. We see the Info-Café as an addition to the already existing inititiatives. When there is no competition with other projects, how does the practical collaboration with other projects look like? Riot Turtle: Several people of the Enough 14 collective are also active in other groups. Of course there is the collaboration with Hopetal where we spoke about before. But we also have contacts to Foodsharing, to the Info-Shop of the autonomous center and various other projects in Wuppertal. Because the Info-Café will not be open before December, we have a lot of talks about possible collaboration with other groups at the moment. Such an Info-Café is lot of work. How are you sharing that work and how are you organized? Enough 14 t-shirt. Size S, M, L, XL, XXL, XXL; Image: Streetart from Exarchia, Athens, Greece. Click at the image. Viktoria: Communication is essential for all kinds of teamwork and cooperation. Only when we honestly and openly speak about problems we have, we can develope solutions to solve these problems. Partly we have very different backgrounds and according to this also different ideas, but also different capacities that we want to put in the Info-Café. Because we don’t have bosses, all people who participate in the project take decisions together. We are all working on a voluntary basis and we want to make sure that everybody is only doing things that he or she wants to do. On top of that this will make it possible to extend the things we do when more people participate in the Enough is Enough project. Let’s have a look into the future. Where do you see yourself and the Nordstadt ditrict in one year? Riot Turtle: That’s a difficult question because there so many uncertain factors. We didn’t give ourselves an easy task. Society is splitting-up more and more and we want to act against exactly these divisons. I think we can succeed in producing a few visible results in only one year. Even when it’s only spreading the idea of self-organization. Viktoria: I think the summer of 2018 could also be a hot summer in Germany. The developments in other countries show that a frustrated and pushed into a social outcast and cornered youth will revolt at one point. The always similar neo liberal course by the government and the opposition are leadint to a growing acceptance of resistance against that course. And as we already mentioned before there is also growing interest in alternatives for capitalism. In the Info-Café we can exemplify how we conceive antoher world. Colin: I think it will be a hot year. Increased fascist attacks, cops that are completely windmilled but also resistance against them and the current conditions. In addition there is a lot going on: The Nazi demos in Dortmund and Wuppertal, Mayday and various cloak-and-dagger operations which are happening more and more often. For many activists the only possibility is to go very different and maybe also new ways because the police are threatening more and more people with their repressive capabilities. An example are the massive amount of graffiti that popped up in the Nordstadt district. Of course the longterm goal is and will remain a radical change into a solidary society. How can people support you? Viktoria: Our structure live from active participation. So we would be very happy when even more people join the Enough is Enough project and put their own ideas into practice in the Info-Café. But of course we also need a lot of money. For the rent, furniture, to buy the first products, drinks and food, but also for fixed costs like an internet connection, phone, electricity and other regular costs we have. You can support our Crowdfunding campaign, donate on our PayPal account (info@enoughisenough14.org) or donate by bank transfer on our bank account. When you don’t have any money you can support us by spreading our crowdfunding campaign, calls for donations, postings, tweets and videos to increase our reach. Maybe there is some relative or some of your friends who wants to support our work. And of course we are happy to see you in the Info-Café in the Wiesenstraße in Wuppertal, Germany which will be opened in December. #Amsterdam: #MobieleEenheid squat went to city council – Enough is Enough! #London: Inspiring day for anti fascists opposing ‘Tommy Robinson’ & UKIP – Enough is Enough! #Ukraine: Raids and Arrests of Anarchists in #Kiev, #Lviv and #Dnipro – Enough is Enough! #UK: ‘Out of control’ Home Office should have been in the dock, not us: #Stansted15 respond to guilty verdict – Enough is Enough! Julius DeRoma Businesses And Home Flyered In #Minneapolis – Enough is Enough! The Media Refuse to Show Them, but Tens of Thousands of #YellowVests Were on the Streets of #Paris – Enough is Enough! Final Straw – Solidarity with the #MigrantCaravan: On the Ground Perspectives – Enough is Enough! New episode of the Guillotine: #YellowVests Protests and the Cyntoia Brown Case – Enough is Enough! Anathema A #Philadelphia Anarchist Periodical: Volume 4 Issue 11 – December 2018 – Enough is Enough! Message from #YellowVests #Commercy: The time of the communes still rings out! – Enough is Enough! #Berlin: Film about #Liebig34 – Enough is Enough! Some Words About the Movement of the #YellowVests – Enough is Enough! #Stockholm: Support event for antifascists who are imprisoned in Russia! – Enough is Enough! Review of Peter Gelderloos, “Worshipping Power: An Anarchist View of Early State Formation” – Enough is Enough! Solidarity with the #Stansted15 from #Minneapolis – Enough is Enough! #Indonesia: Comrade Brain Valentino, imprisoned for the #Mayday riots, is free – Enough is Enough! Welcome to #NRW, where people can be imprisoned up to 28 days without being charged – Enough is Enough! Ⓐ ★ #Argentina: All 12 Anarchist Comrades Detained in November Are Being Held in Preventive Detention Ⓐ ★ – Enough is Enough! #YellowVests: The Time for wishy-washy coalitions is over – Enough is Enough! #Brighton and #London rally for #Stansted15 – Enough is Enough! No Borders Kitchen #Lesvos: How many more deaths in Europe? – Enough is Enough! An Anarchist’s Perspective of the #YellowVests – Enough is Enough! From Union Renewal to a Self-Managed Society – Enough is Enough! #YellowVests: A Call for intergalactic actions of solidarity – Enough is Enough! The Hague: Acquittal in Fight Repression case – Enough is Enough! #Briançon7: 12 months imprisonment for protecting migrants against against fascists of Generation Identity – Enough is Enough! 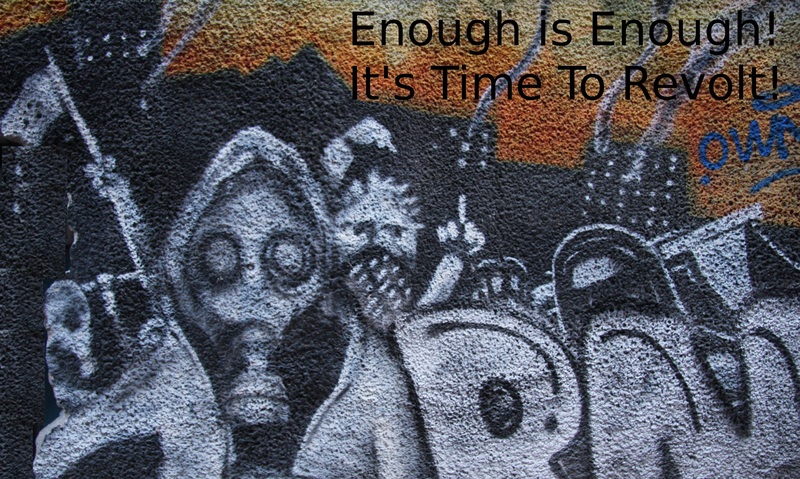 #Anarchism at the End of the World – Enough is Enough! Judge rules #Unistoten gate must come down for pipeline – Enough is Enough! Alfredo M. Bonanno: The Logic of #Insurrection – Enough is Enough! #Mexico: Statement Against Repression From Collectives and Community Members in the Central Valleys of #Oaxaca – Enough is Enough! After four years of struggle and preparations the Enough is Enough Info-Café finally opened – Enough is Enough!